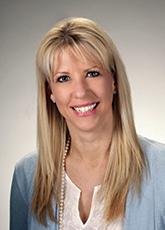 Angela began her career in public accounting in 1998. Prior to joining our firm in 2014 she worked at a national CPA firm where she specialized in serving nonprofit organizations with consulting, tax compliance, and assurance services. In addition to her public accounting experience Angela has worked for a large non-profit, which gives her real world experience to share with her clients. Angela provides training to boards of directors and regularly presents at nonprofit conferences. She also performs engagement and system peer reviews for other accounting firms and serves as a member of the WSCPA System Peer Board and the Engagement Peer Review Report Acceptance Board. In her spare time, Angela enjoys spending time with her family and attending her children’s sporting events. She is actively involved on the board of directors of Voices for Children.